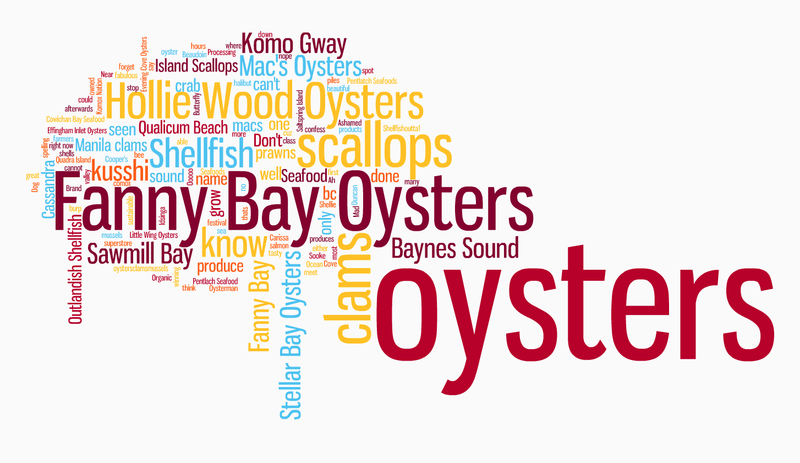 EatDrinkMedia.ca: Is your shellfish business getting the social media love it deserves? Is your shellfish business getting the social media love it deserves? As part of our weekly local food question we asked you to tell us about 5 Vancouver Island region shellfish farmers. The graphic above gives a vivid description of those growers who are in the public eye, and who are being talked about on social media. Is your business here? If it's not, or it's not as prominent as you'd like it to be you might want to ask if it's getting the social media love it deserves. If you're wanting helping getting that attention, be in touch.